A cold night, bright sunshine this morning, big patches of rich, brown mud still frozen, the snow pack shrinking a bit every day. Big hopes for a boil tonight if the day warms up. The smoke coming from the sugar-house an open invitation to neighbors and passerby’s to stop in, say hello – and if their timing is just right – taste a little fresh, still warm maple syrup. 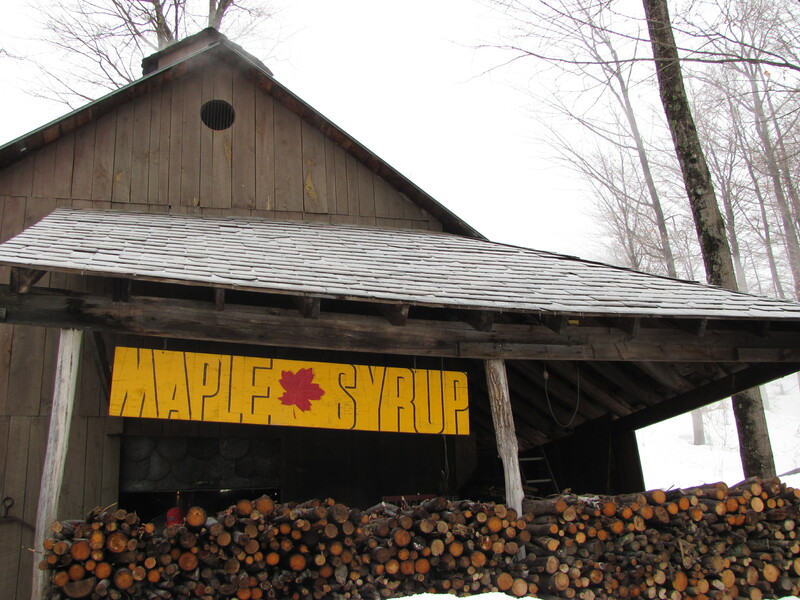 This weekend is the annual Vermont Maple Open House Weekend, and sugar makers across Vermont will be opening their operations to visitors. Across the media, Vermont maple syrup is in the news. VPR’s Vermont Edition is featuring maple sugaring this week. New terroir studies are expanding the scope of understanding the unique qualities of a Vermont product that offers not only pure, natural sweetness, but also a taste of place. Making syrup is hard work and takes long hours, during the season, and before and after. But it is also a magical process, nature’s sweet bounty bottled. Approximately forty gallons of sap, that dripped drop by drop, slowly, out of a sugar maple tree, collected in a bucket, gathered by hand, hauled to the sugar house, and boiled for an hour or more, will yield one gallon of syrup. Take some time this weekend to go and see – and taste – what the magic is all about!